This would be my first blog post I am doing from outside the wordpress editor, I rarely do that. I have once bogged from a wordpress app, but that’s the farthest away from the wordpress editor on the web. It’s quite an easy experience, you will be required to choose the blog provider, from a list of wordpress, blogger, typepad and a few others that just passed me. From then you will be requested to log in to your blog on the wizard. And a warning that your information could be made available to other people, I wonder who these are. Once login is successful, you then see this editor, ofcourse all this requires an internet connection. So lemme hit publish and see if this will be a successful first blog post from Ms Word, I am using office 2013 preview. And then I can wonder where you add tags, categories and check whether you have used the right keywords, you know there is a plugin for that, don’t you? Shucks! You need to login again, as I have noted, actually, I had not just checked the remember password box, I rarely do. And you have an option to publish for real or publish as drafr and do any other edits you will require. Just remembered, I have not googled an image to go with this, will do so later. You can save a document offline and post it when you want. But anyway, you wouldn’t expect al the nice things out there now , would you? Also this is just another way to kill the cat. There is the proven way of dipping it in water inside a sack, you only approach other methods if you are short of the better options. Talk of no-frills blogging! Convenient too. Good editorial blogging. Thanks @mmnjug:disqus we are having this #BAKEWorkshop and I thought to explore this option. Thanks Martin for this test and post! However, i would like to challege you on proof reading the posts before publishing! lol, I usually do, somehow I let this one pass, but I will edit it. And notice some parts I added after testing the process. 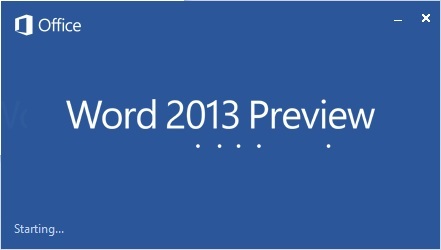 Cool..so word 2013 is available..Wow Checking it out! Yes it’s been available for preview for some time. Has some good features. This feature is also available in Office 2010and is quite good. Having the power of MS Word all to yourself while blogging is the best thing that any blogger can wish for. However, I prefer BlogDesk and the online WordPress editor.